A PC is a complex and often confusing collection of systems. Over time , clutter will accumulate on your hard drive and slow down the whole process. 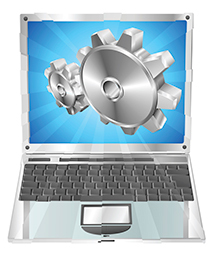 Often times, a sluggish computer just needs a good tuneup as preventative maintenance. If it is running slow and it has been a while since you had it looked at, we can help! Whether in our office in Redmond WA or at your location, we can clean it up and optimize your PC with our special tuneup process that is guaranteed to increase the speed of your PC (your mileage may vary) or your money back. Just bring your computer into our shop and we can turn around most tuneups within 24 hours! Don’t loose any more productivity due to a slow, sluggish computer. Call us today at 425-214-5241 so we can get you back to business.